Date: TUESDAY, January 8, 2019. Location: Howden/Spice Monkey Restaurant, 1628 Webster St. Oakland, CA. RSVP: Please register online by noon, MONDAY, January 7, 2019. Click here for step-by-step instructions on how to register, check out this handy guide on our website. Meeting details, abstract and bio can be downloaded from our website www.aegsf.org. February 12, 2019: “HayWired Scenario”, Keith Porter, USGS. We’re looking for Speakers! Email chair@aegsf.org if you’re interested. 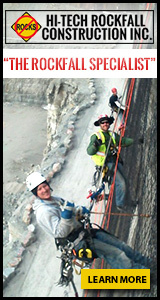 Check out the latest AEG San Francisco Chapter news at our website www.aegsf.org.